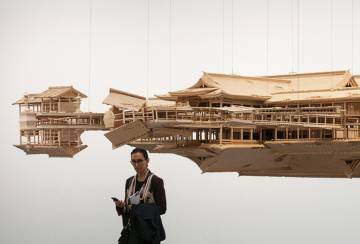 Coined by my good friend and Straits Times columnist Chua Mui Hoong – the phrase captures the growing intensity of the public debate in the once placid city-state, especially in the aftermath of Lee Kuan Yew's death in 2015. The “contestation” arguably reached its peak with the Lee family's nasty squabble over the late patriarch's intentions for his 38 Oxley Road residence. In the past, the government-controlled media would have “managed” the public debate but with the emergence of social media, such neat solutions are impossible. It's hard to see how the well-meaning but bland technocrats of the ruling People’s Action Party (PAP) are going to cope with these political challenges. Moreover, all of this is taking place against a backdrop of political uncertainty as both Prime Minister Lee Hsien Loong and Finance Minister Heng Swee Keat suffered extremely public health-incidents last year. Adding to the confusion is the elite’s seeming determination to exclude the highly-respected Deputy Prime Minister Tharman Shanmugaratnam (who is Indian-Singaporean) from all talk of succession. Attention has now zeroed-in on the PAP’s so-called “Fourth Generation”, particularly six men that the state-controlled Straits Times highlighted last year as possible future leaders. 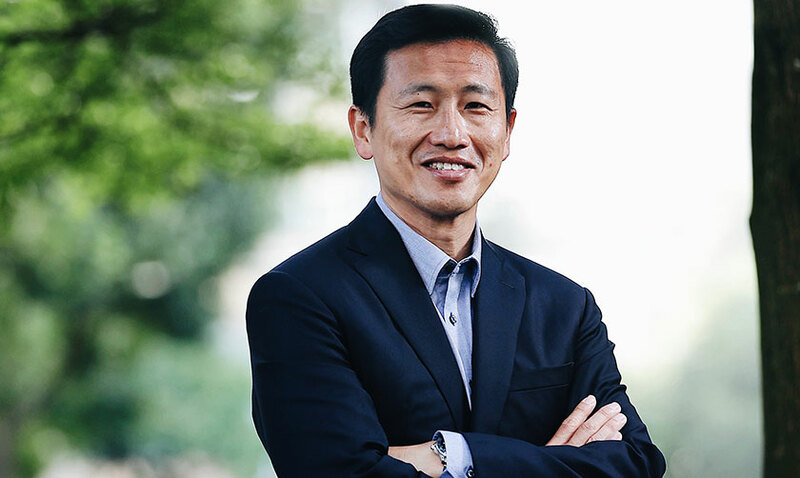 Attempting to understand Singapore’s current landscape, I became increasingly intrigued by one of the six names cited in the article: Ong Ye Kung, the Minister for Education (Higher Education and Skills) and Second Minister for Defence. Well, three key points stood out before I even met him. 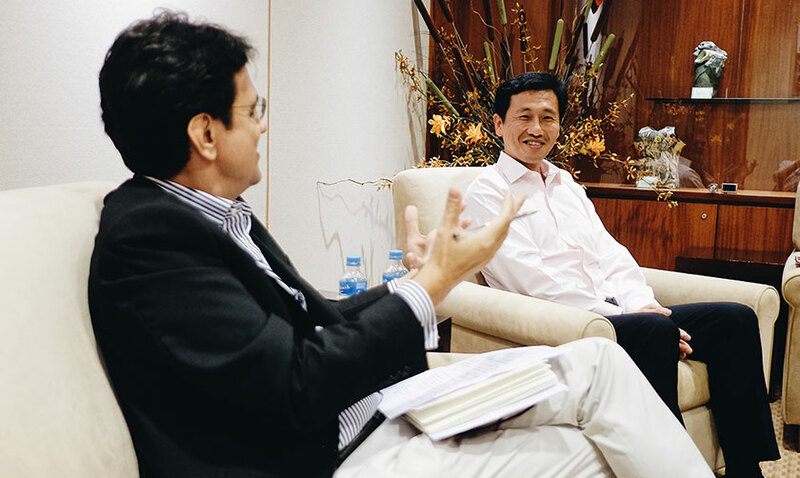 Ong is part of the PAP’s so-called “Fourth Generation”. First, the handsome 47-year old had spent years serving Lee Hsien Loong personally – having been his Press Secretary from 1997-2003 and then his Principal Private Secretary from 2003-2005. Such proximity suggested deep and enduring bonds of trust between the two men. Most PAP cadres have only ever experienced success in a dash to the top. However, Ong was roundly defeated at the Aljunied Group Representation Constituency (or GRC) along with the former Foreign Minister, George Yeo, in his maiden political outing in the 2011 General Elections. It was a humbling moment for the rising star – forcing him, no doubt into a period of personal reassessment. Third, I was struck by his unusual personal narrative. His father had been a Barisan Sosialis MP in the 1960's and very much antagonistic to Lee Kuan Yew's PAP. Brought up speaking Mandarin, he had managed to switch into the dominant English-language stream, going on to study in the London School of Economics (LSE). This was a man who succeeded in bridging Singapore’s rarely-discussed English/Mandarin linguistic and cultural divide. So, this was what had brought me to Singapore. I started by following him on one of his twice-weekly constituency visits to his Sembawang GRC. 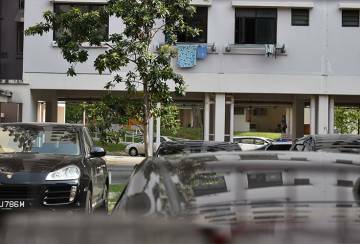 Undeveloped state land in the midst of high-rise HDBs near Sembawang Station. Observing from the side-lines, I watched as he approached a whole host of different HDB flat dwellers – this was a relatively new block of studio apartments. Turning on the charm, he spent his time coaxing the occupants to let him in for a chat and photo. 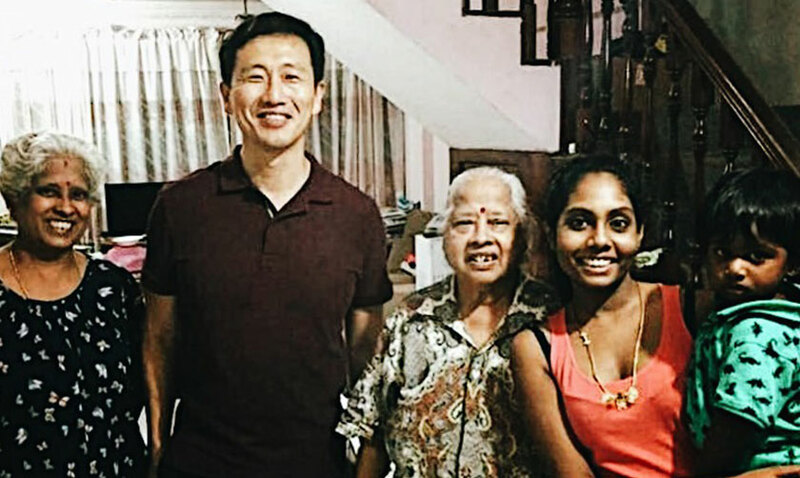 There were elderly Hokkien couples, one or two ladies complaining about the garbage, a Tamil gentleman, a young Malay boy and his hijab-wearing aunt – the entire gamut of Singaporean life. Ong handled all deftly and with zero-protocol. Sembawang and especially Yishun (in the Gambas ward, i.e. his designated part of the constituency), was an eye-opener. 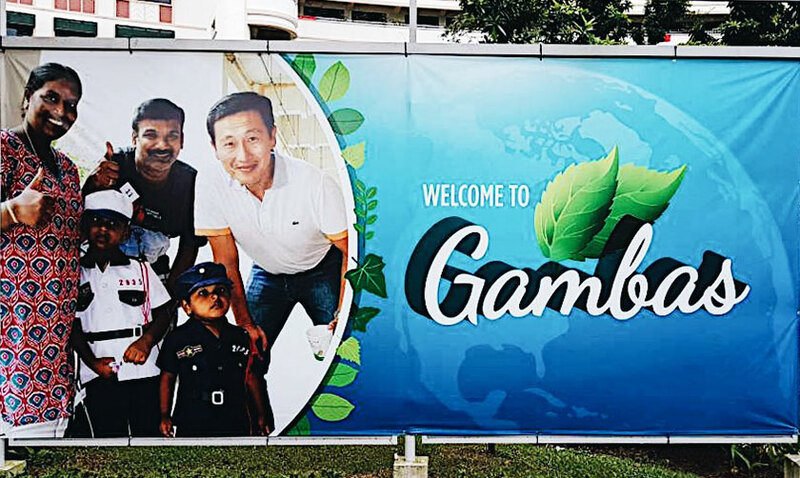 Located in the far north of Singapore and just across the Causeway from Malaysia, the constituency was quite unlike the densely-packed areas I knew elsewhere in the city-state. On a billboard: Ong Ye Kung, Singapore’s Minister for Education (Higher Education and Skills) and Second Minister for Defence. 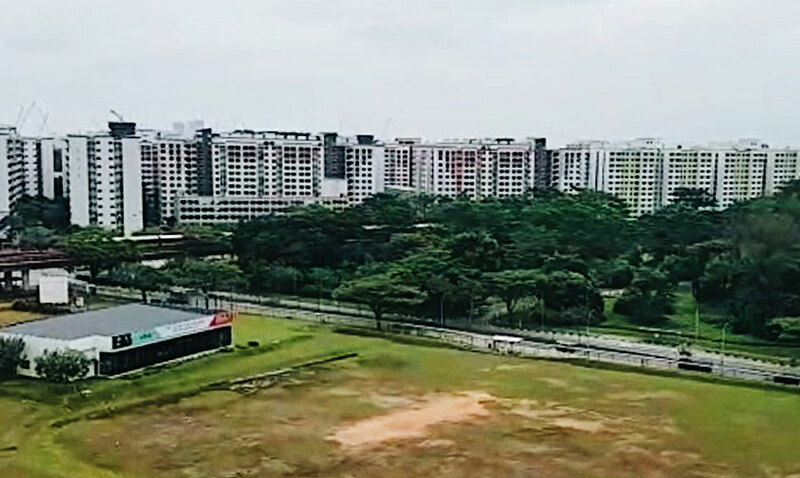 The Simpang marshes to the northeast of Yishun and other parts of Sembawang contain significant undeveloped plots of state land. These remind me of the suburbs still being built outside other Southeast Asian cities like Manila, Surabaya or even Hanoi. In short, it is an area of enormous future potential. Indeed, the phrase “future potential” was something I was to come across time and again as I chatted with him. However, by the time I sat down with him later in the week, I knew he wouldn't be providing me radical answers about his ambitions or 38 Oxley Road. However, when he talked about education, I must admit, I was surprised. Here he displayed a mastery of his subject – especially “lifelong education”— as well as flashes of passion and raw determination. Curiosity and joy of learning? And coming from a PAP minister? 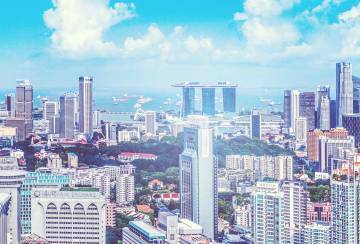 The idea of a people-centred Singapore – whether in terms of education or governance – is frankly counter-intuitive and quite extraordinary. Certainly, the city-state, recognizing the shifts in future economic activity is ramping up investment in education, spending SGD12.9 billion (or 17% of the total budget) this year on it — that’s double from 2005. But more importantly, the increase is apparently being matched by a near total re-engineering of the terms of that education. This will have a dramatic impact on the future of politics and society in Singapore. Indeed, implementing such a sea change will be a formidable challenge, though he has proven himself up to such tasks for example when he launched a ground-breaking workforce skills qualification system as the chief of the Workforce Development Agency (WDA) back in 2005 — 2008. It was only later, as I studied Singapore's troubled engagement with China that I realized how supremely well-equipped Ong would be in the decades ahead as Beijing became ever-more powerful. Ong is neither a rebel nor a maverick. But his highly unusual personal history, the fact that he's lost an election and learnt from the experience plus the passion with which he has embraced educational reform reveals a man resolutely focused on future potential – that phrase again. Only time will tell whether Ong is truly premiership material. But to my mind, in the Age of Contestation, leadership will often gravitate to those who look to the future and are determined to build accordingly.